In Secular Translations, the anthropologist Talal Asad reflects on his lifelong engagement with secularism and its contradictions. He draws out the ambiguities in our concepts of the religious and the secular through a rich consideration of translatability and untranslatability, exploring the circuitous movements of ideas between histories and cultures. 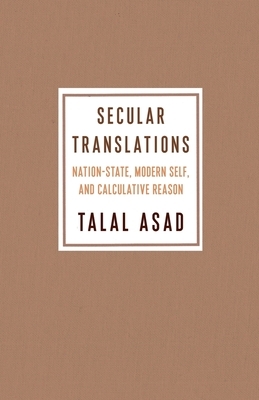 In search of meeting points between the language of Islam and the language of secular reason, Asad gives particular importance to the translations of religious ideas into nonreligious ones. He discusses the claim that liberal conceptions of equality represent earlier Christian ideas translated into secularism; explores the ways that the language and practice of religious ritual play an important but radically transformed role as they are translated into modern life; and considers the history of the idea of the self and its centrality to the project of the secular state. Secularism is not only an abstract principle that modern liberal democratic states espouse, he argues, but also a range of sensibilities. The shifting vocabularies associated with each of these sensibilities are fundamentally intertwined with different ways of life. In exploring these entanglements, Asad shows how translation opens the door for--or requires--the utter transformation of the translated. Drawing on a diverse set of thinkers ranging from al-Ghazālī to Walter Benjamin, Secular Translations points toward new possibilities for intercultural communication, seeking a language for our time beyond the language of the state. Talal Asad is Emeritus Distinguished Professor of Anthropology at the Graduate Center of the City University of New York. His many books include Formations of the Secular (2003) and On Suicide Bombing (Columbia, 2007).